Hello my lovelies! The week is finally over and there's a bit of sun to make this Saturday even better. To those of you celebrating Easter this weekend I want to wish a very happy Easter! To me it's just a regular weekend because Romanian Easter is only a month from now, but I still wanted to post something springy so it would go with the season. 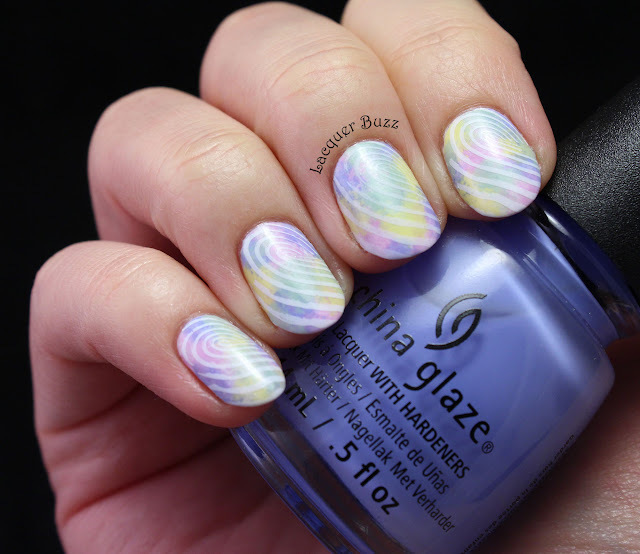 I think today's manicure is perfect for spring and Easter because it's full of beautiful colors. I was very happy with how it came out even though I struggled a bit with the stamping. Let's take a look! Hello my lovelies! Hope your Monday wasn't too bad! Mine was pretty good considering that it was quite busy. The sun is shining and I have a bit of holo on my nails. 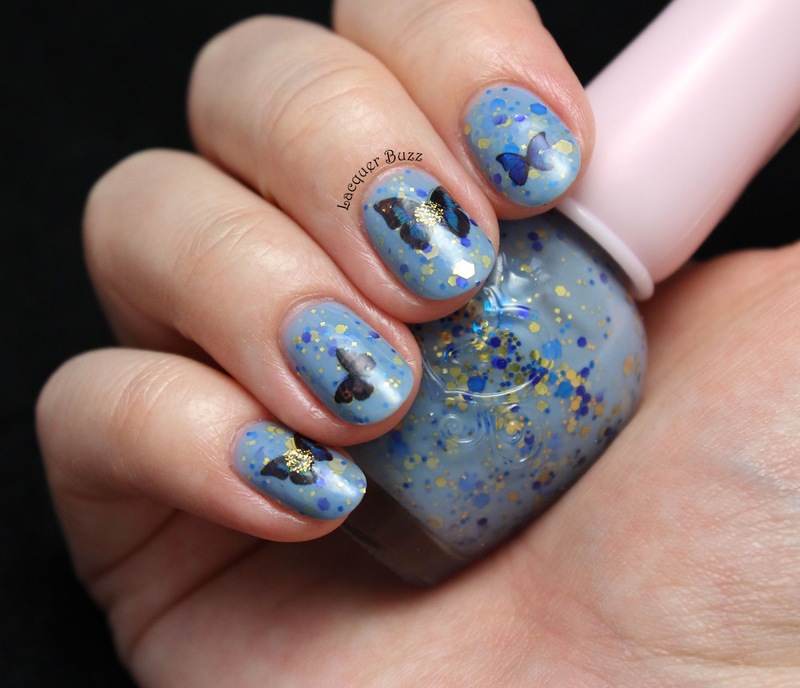 Today I want to show you a manicure that I created using a few things that are new in my collection. 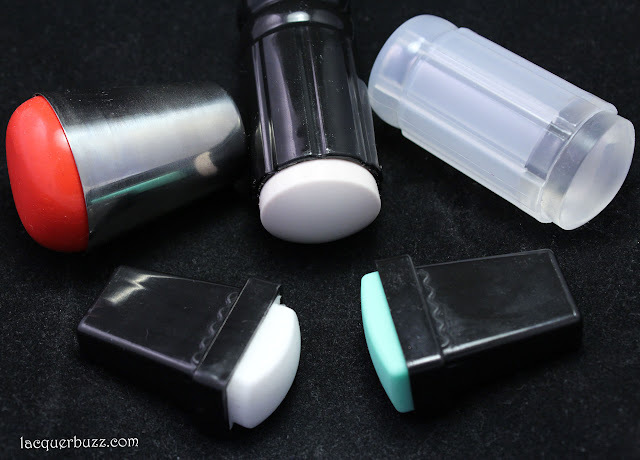 My friend Kinga had a blog sale and I snagged a few polishes and stamping plates. 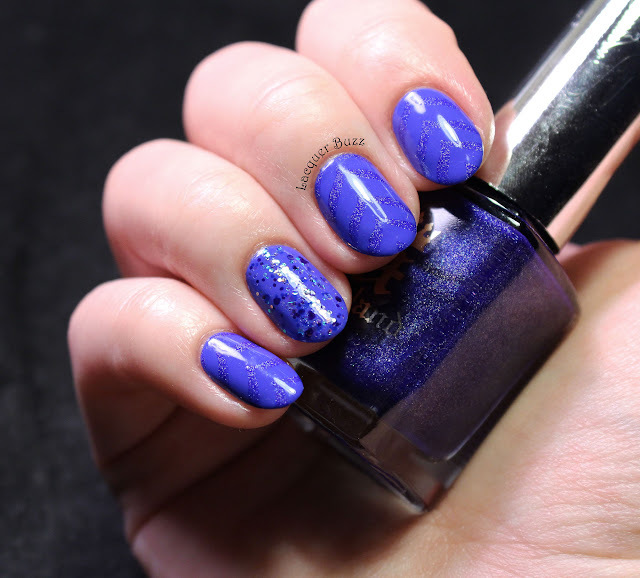 I also used the third polish that I got from the China Glaze House of Colour collection. This is what came out! Hello my lovelies! Another Monday, another crazy work week ahead of us. I'm still waiting for that spring weather to kick in. 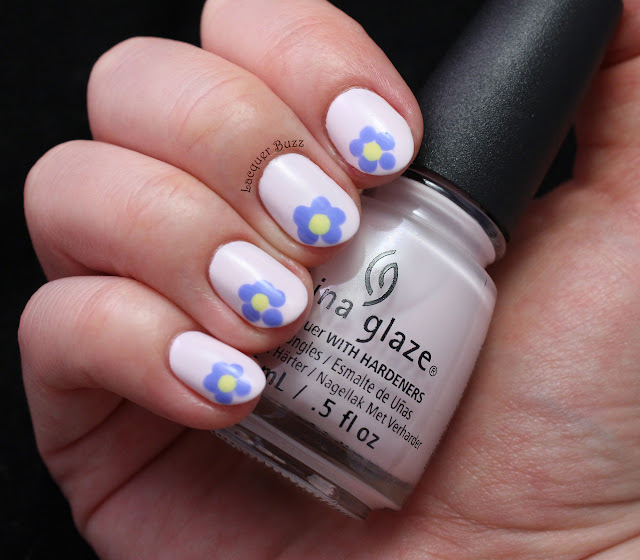 Meanwhile I've been wearing some spring polishes, including the one I'm showing you today. 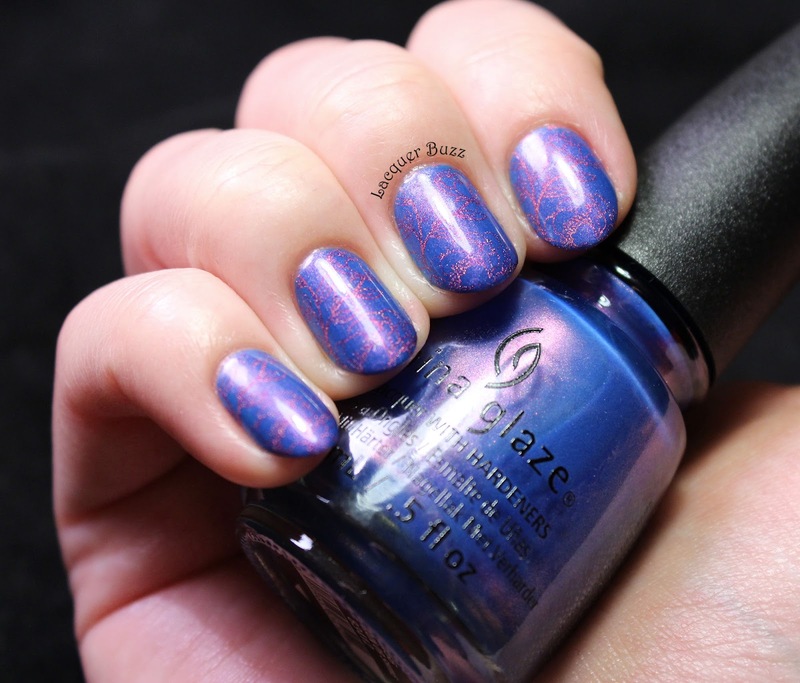 It comes from the House of Color collection from China Glaze, so it came out a few weeks ago. The other blue in this collection didn't seem that interesting but this one was a must have for me. Let's take a look! Hello my lovelies! It's been a busy week in my neck of the woods and spring hasn't been around much. It's been cold and rainy, which was not great for my mood. I really hope it's gonna get warm soon because I'm so sick of this weather. 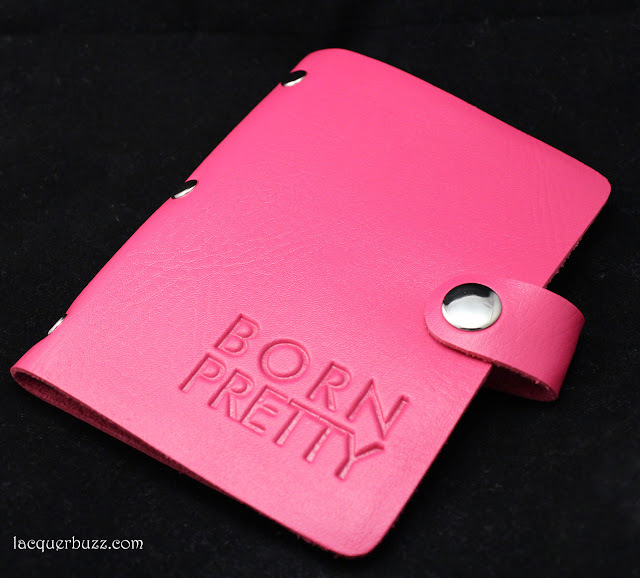 I've been working on a couple of reviews of some stamping stuff from the Born Pretty Store and I hope they're gonna be useful for some of you. First up, I have a couple of stamping plate organizers that were kindly sent to me to show you. The first one is for plates of a larger size. Let's take a look! Hello my lovelies! Oh, what a crazy Monday this has been. Work has been hectic so I suspended all afternoon activities (like going to the gym) to take some time to relax. I'm still not in the mood to talk much but I have to tell you a few words about today's manicure. As I've mentioned in my last post, I started wearing pastels and bright colors last week to celebrate the coming of spring. I was in the mood for a gradient and some polka dots, so I took out my tools and this is the result. Hope you like it!